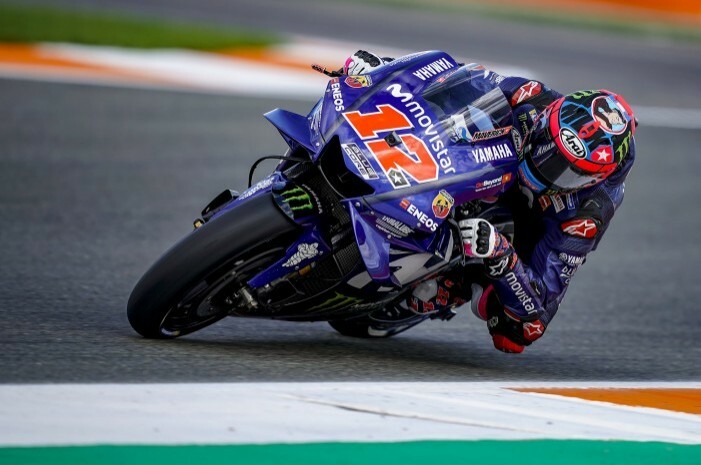 This year’s MotoGP season drew to a close on Sunday in Valencia and almost immediately attention turned to the 2019 season. Yamaha has been looking forward to the opportunity to wipe the slate clean and to start with a blank sheet of paper for some time. The Japanese manufacturer endured a torrid time in the premier class this year and went over 12 months without a race win. The YZR-M1 suffered from a combination of electronics and engine issues and with the engine specification locked in place from the start of the season their hands were tied by the time Valentino Rossi and Maverick Vinales rolled down the Qatari pitlane in mid-March. For Lin Jarvis, Yamaha Racing’s Managing Director, the season has been one of fighting fires rather than fighting at the sharp end. However, for next year steps have already been made to avoid a repeat and to allow Yamaha challenge for their first title since 2015. “There was no single mistake made for this year,” Jarvis told bikesportnews.com. “I think that not getting to grips with truly understanding the problem from two years ago was our mistake. Everything that has happened this season was a consequence of not taking the right decisions in the past. In the middle of this season I think, finally, it became very clear what we had to do. That European Test Team is arguably the biggest single indication of just how much investment Yamaha is now making in turning around their fortunes. Jonas Folger, who raced for Tech3 in 2017 and is a five time Grand Prix winner, will be their test rider. Having had a year on the sidelines the German is ready to embrace life as a test rider. For both Vinales and Rossi the year has been one where they have had to adapt their styles on a consistent basis. The Spaniard may have broken Yamaha’s victory duck in 2018 at Phillip Island but he made no bones about how difficult this season has been for him. “This has been the toughest year for me mentally,” said Vinales. “It will me stronger because when I win, or go on the podium, in the future I’ll make sure to enjoy it more. I will try and spend two or three days enjoying the result now. I think I learned to work more in the box, to be closer to the people and be a better person. It’s been a tough year but for sure it’s going to help me so much in the future. Rossi expanded on the areas that Yamaha need to improve. The Italian saying that engine and electronics and offering a smoother power delivery would be the key areas that Yamaha need to focus on. Having spent three years adapting to Michelin tyres the French rubber is now not an issue and with a new engine set to be rolled out during the Valencia test they are now ready to find a solution for 2019. Finding a solution for Rossi and Vinales, two riders will very different riding styles, is something that Yamaha has said will not be an issue for them. Having had Rossi and Jorge Lorenzo on the books for years the Japanese engineers are confident that they can find a way to engineer the bike to offer a consistent base for both riders. Offering them improvements in power delivery and stability will be the key for turning around their fortunes in 2019.